Turn up the heat with these ultra-functional tools. OUTFITTING a kitchen used to be a simple task–pots, pans, and a handful of standard implements were the norm (unless you responded to infomercials). 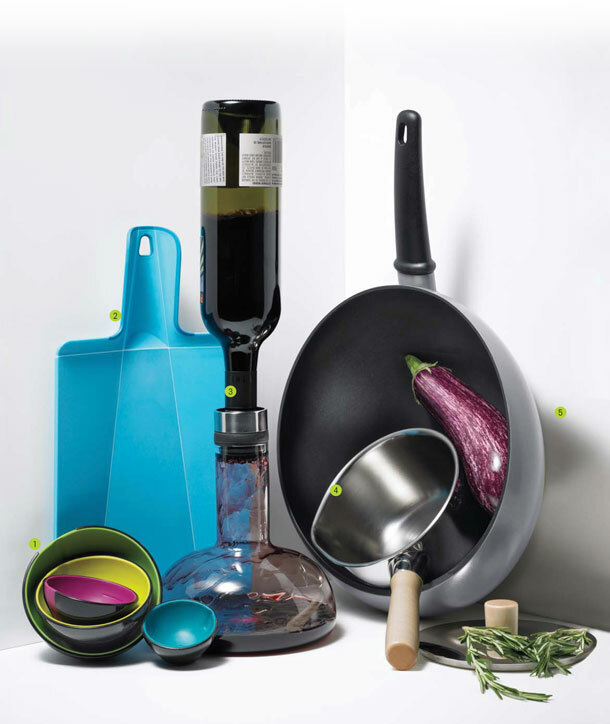 Now, as design continues to infiltrate every corner of our lives, companies are rethinking the form and function of cooking tools, leaving consumers with an expanding range of products to tackle a kitchen’s many obstacles. Can’t flip fried foods without launching them out of the pan? There’s a product for that. Trouble getting veggies from the cutting board to the bowl? There’s a product for that too. Armed with the right equipment, it’s easier than ever to feel–and cook–like a culinary pro. A version of this article appeared in the July/August 2011 issue of Fast Company magazine.